ESE continue to work with the UK Largest Caravan Holiday Park company, to continue a revamp to their existing High Voltage networks. Working along side the holiday park, we decided to upgrade the high voltage equipment at two more of their park locations. 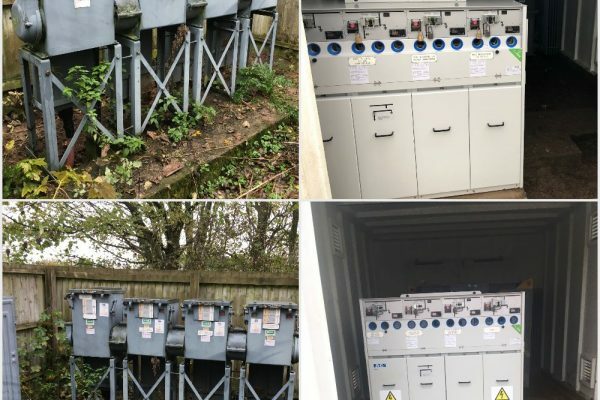 These locations are two of the biggest holidays parks in the UK, and it is vital for the electricity supply not to be disrupted in working hours. With this in mind ESE were able to work outside the Caravan Parks opening hours to minimise disruption. ESE replaced the existing banks of Long and Crawford oil switches with a new 3 and 4 panel Eaton Xiria switchboard. We were able to remove the oil switches from site in an environmentally friendly way, and recycle accordingly without major disruption to site. The new equipment is housed in a purpose build GRP substations to protect against the elements thus prolonging the life. This removed all of the defected equipment from site removing the suspension of operation and giving them complete control of the high voltage networks. This will provide electrical stability for the upcoming holiday seasons. The parks has now been re-energised and are ready for the busy holiday seasons.